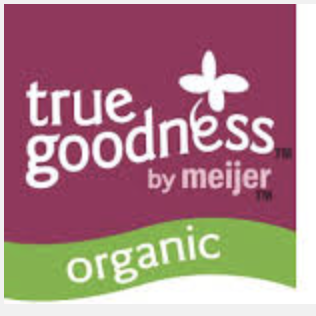 Frozen Veg Recall - Meijer is on the list! CRF Frozen Foods of Pasco, Washington is voluntarily recalling fifteen frozen vegetable items that have the potential to be contaminated with Listeria monocytogenes, an organism which can cause serious and sometimes fatal infections in young children, frail or elderly people, and others with weakened immune systems. Although healthy individuals may suffer only short-term symptoms such as high fever, severe headache, stiffness, nausea, abdominal pain and diarrhea, listeria infection can cause miscarriages and stillbirths among pregnant women. No illnesses have been reported to date, but the company is recalling the products as a precaution. The Listeria was discovered through routine testing by state health officials in Ohio. Listeria monocytogenes was found to be present in one lot of Individually Quick Frozen (IQF) organic petite green peas and one lot of IQF organic white sweet cut corn. We know the recalled frozen vegetables were distributed to retailers and distribution centers between September 13, 2015 and March 16 in the following states, and may be redistributed in other states nationwide: AL, AZ, CA, CO, CT, DE, FL, GA, ID, IL, IN, LA, MD, MA, MI, MN, MO, MT, NV, NH, NJ, NY, NC, OH, OR, PA, RI, SC, TN, UT, VT, VA, WA, WV, WI, and in British Columbia, Alberta, Manitoba, Saskatchewan of Canada. Consumers are urged not to consume these products. Consumers who purchased these products may take them back to the store where they purchased them for a refund or simply discard them. Consumers seeking information may call 844.551.5595 Monday through Friday, 8:00 am to 5:00 pm Pacific Standard Time.